Lifetime television network has released the air date of its small screen movie about the Christopher Porco murder case. The Loudonville Christian School boys basketball team wrapped up the Central Hudson Valley League title by beating Waterford-Halfmoon 55-32 Tuesday. After five years of revisions and discussions, the Town of Malta has a new form-based code that will set the tone and tenor for downtown development. Sports poll: Who is the best goaltender in the Capital District High School Hockey League? We're asking you to select who is the best goaltender in the Capital District High School Hockey League. 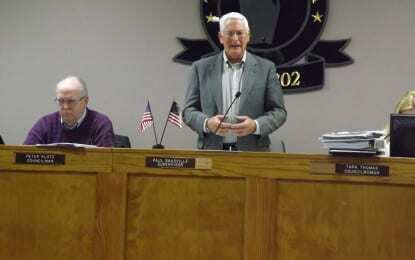 Three years after Selkirk residents got a visit from then-Bethlehem Supervisor Sam Messina, many of the same issues were the subjects of a recent community forum held by Supervisor John Clarkson. 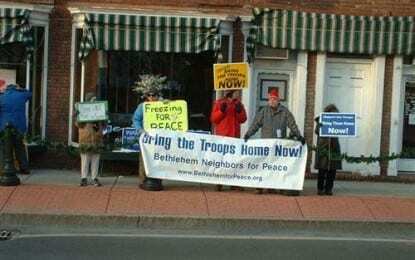 On Monday, Jan. 28, members of the Bethlehem Neighbors for Peace organization marked their 10th anniversary by meeting at Delmar’s Four Corners and holding a short vigil. Step, a cross between competitive cheerleading and African dance, will explode at the Palace Theatre for the ninth year running on Feb. 8. 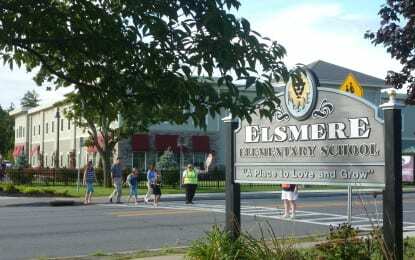 Bethlehem officials recently met with parents and staff of Elsmere Elementary School to discuss how to make the walk to school safer for students.